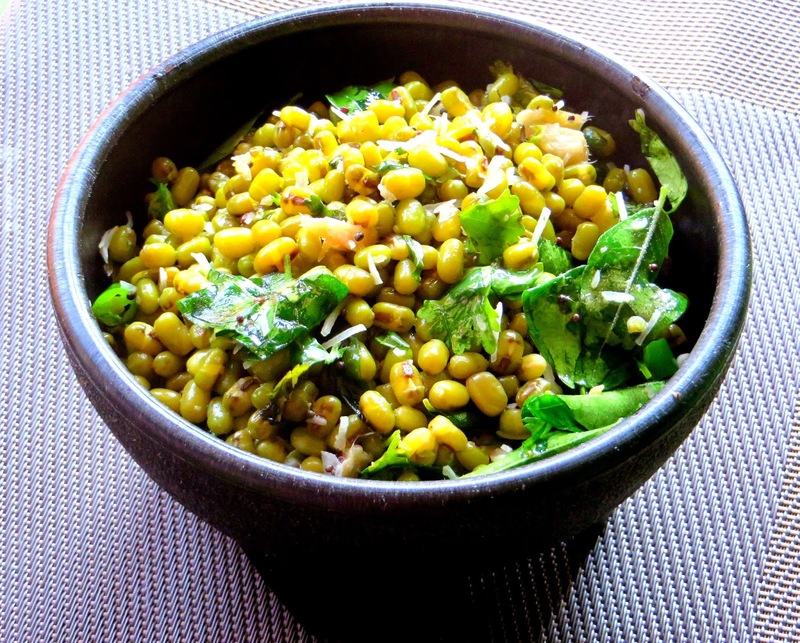 Mung/Moong bean is called pachai payaru in tamil. This green gram is packed with nutrition. Its a perfect addition to a vegetarian healthy diet. Here's a sundal recipe with this bean. Green chillies - 1 or 2 depending upon the heat. It can be vertically slit or chopped. Soak Mung bean over night in water. Next day, drain the water. Heat 3 cups water with a tablespoon of salt. When the water comes to a boil, add the soaked beans. Let the content boil for 5 to 6 minutes. Turn off heat and drain the water using a colander and allow the mung bean to rest until all the water is drained. Meanwhile, heat oil in a kadai, preferably non stick. Temper the mustard seeds. Add the green chillies, ginger and Curry leaves. stir for a minute. Add the Mung beans and asafoetida powder. Sprinkle salt as it is already boiled in salted water. Mix well and garnish with coconut - grated fresh or desiccated and coriander leaves. Turn off heat and stir lemon juice and the Sundal is ready to be served.